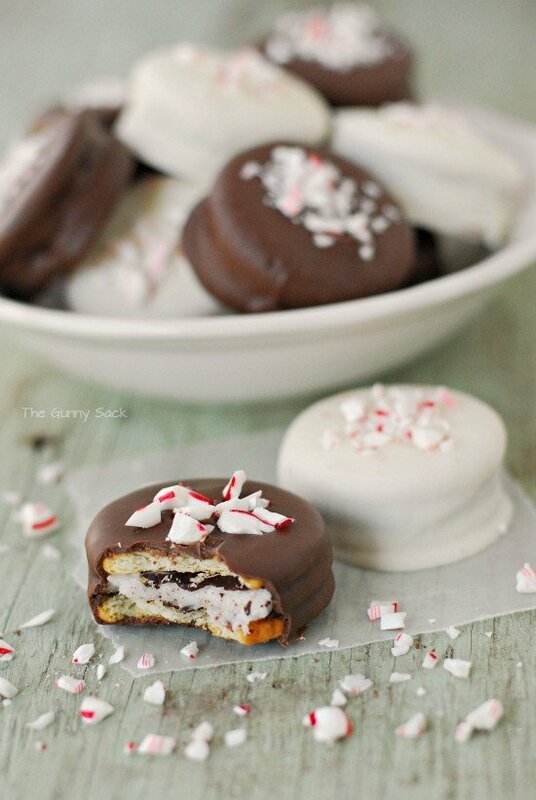 Although I enjoy mint desserts and candy year round, peppermint desserts always remind me of the holidays. It’s been a long time since I’ve made doughnuts so I had to try making a peppermint version. 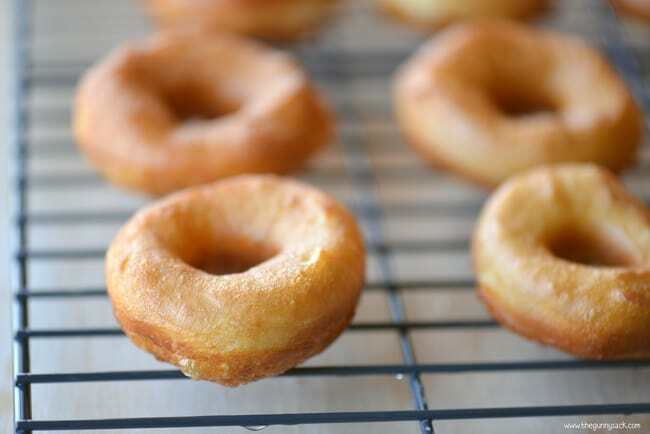 First, I made some homemade, baked doughnuts, but they were so bland that even my kids didn’t want them. Instead of trying another batch, I changed the game plan and made canned biscuit dough donuts instead. To make this recipe I used a package of Pillsbury buttermilk biscuits. Cut a small circle out of the center of each biscuit. I used a large frosting tip, but a knife would work as well. Heat 2 inches of vegetable oil in a large pot or Dutch oven, to 350 degrees over medium heat. Place a few doughnuts in the hot grease and fry until golden. Warning…be very careful when heating oil! My sister had a grease fire when frying onion rings and it was really scary. Luckily, they were able to contain the fire and it didn’t do any damage. Use a thermometer to keep an eye on the temperature. Use tongs to flip doughnuts and fry the other side. 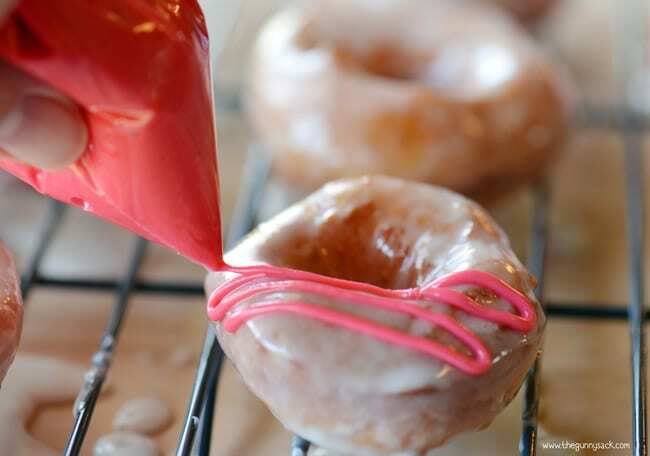 Use the tongs to remove the doughnuts from the oil and drain on a cooling rack. You can also fry the doughnut holes! Mix together powdered sugar, half-n-half and vanilla. 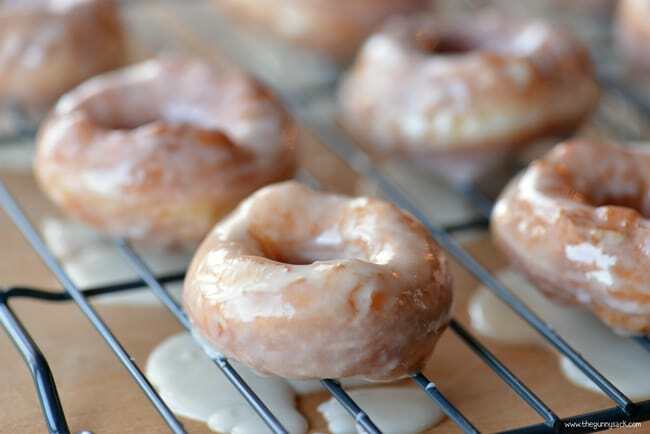 Dip the doughnuts in the glaze. Place them back on the cooling rack to let the glaze set. Then, go ahead and dip them again. I still had a little extra glaze so I mixed in some red food coloring to tint it and a tablespoon of powdered sugar to thicken it. I put the thickened red glaze in a plastic baggie, cut a teeny hole in the corner and slowly piped it onto the doughnuts. 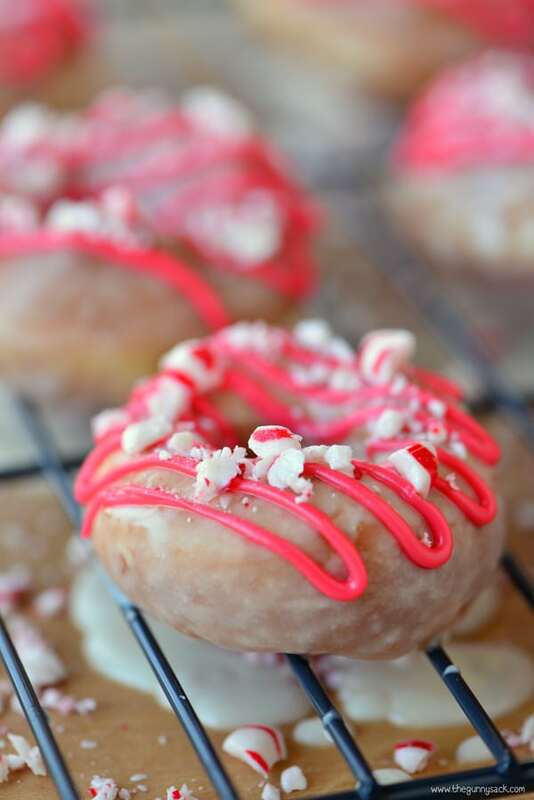 Immediately sprinkle them with crushed candy canes before the red glaze sets. 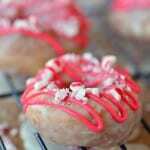 These peppermint candy cane crunch donuts are best when eaten fresh! 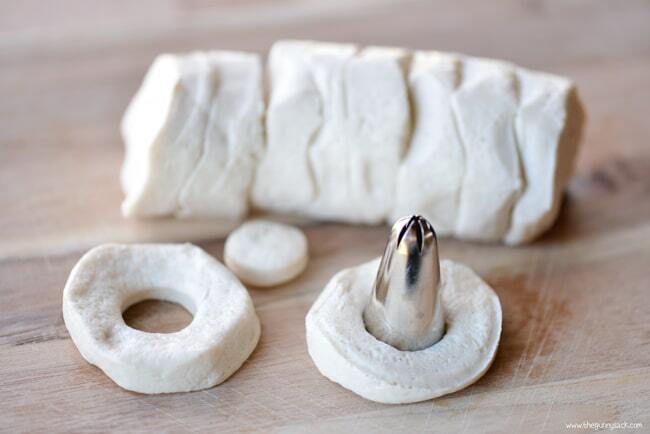 Cut a small circle out of the center of each biscuit. 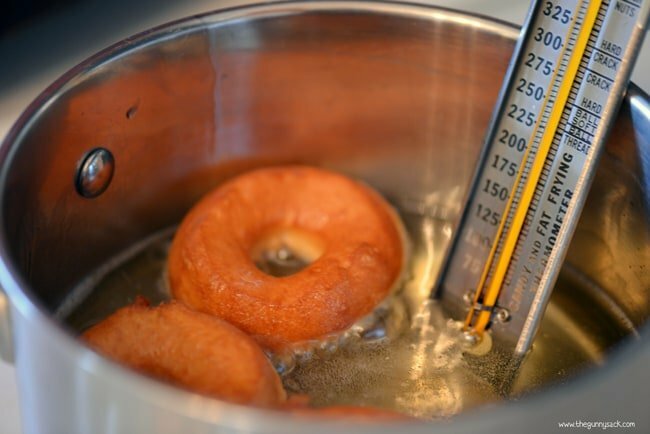 Use the tongs to remove the doughnuts from the oil and drain on a cooling rack. Mix together powdered sugar, half-n -half and vanilla. 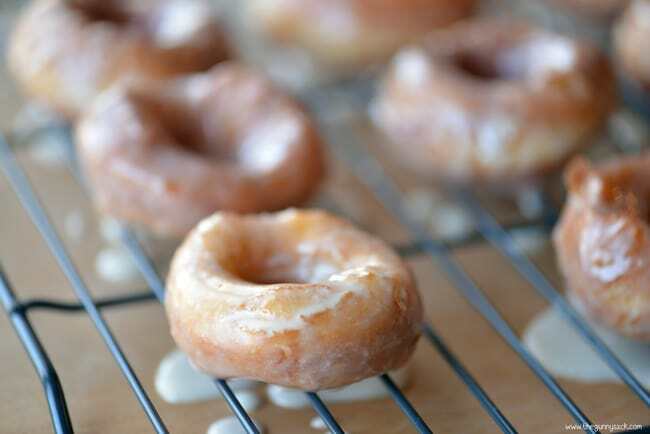 Dip the doughnuts in the glaze. Use the extra glaze to make red glaze. Mix some red food coloring to tint it and a tablespoon of powdered sugar to thicken it. I put the thickened red glaze in a plastic baggie, cut a teeny hole in the corner and slowly piped it onto the doughnuts. 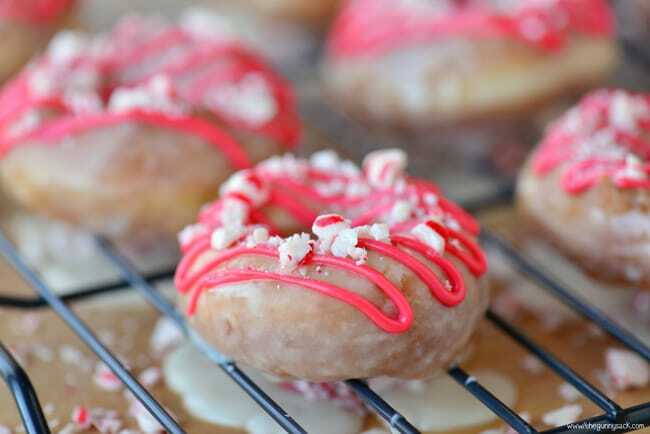 Immediately sprinkle with crushed candy canes before the red drizzle sets. What yummy looking donuts! Pinned! Oh my gosh, I am in love with these donuts, Tonia! 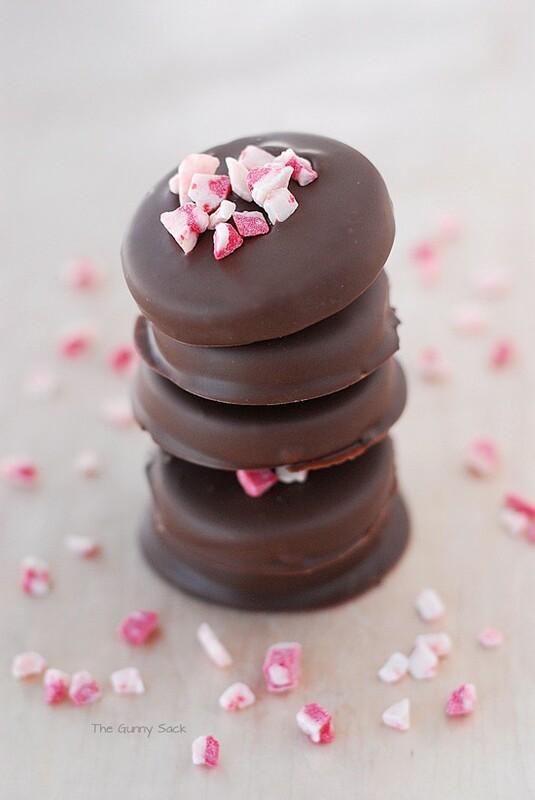 Peppermint is my favorite around the holidays and in donut form? Amazing and they’re so pretty! Pinning! 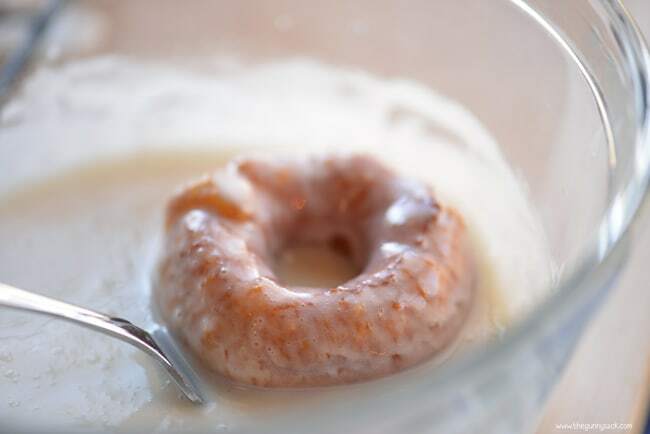 My mom used to make donuts like this using canned biscuits, but only once a year. This made them an extra special treat and I have so many memories of the aroma of donuts frying. 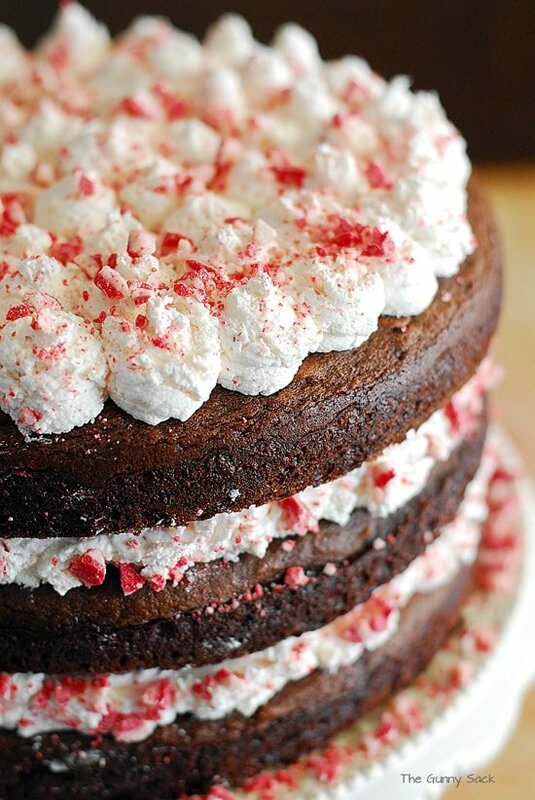 I love how you added a winter flair to them with the crushed candy canes and red glaze. 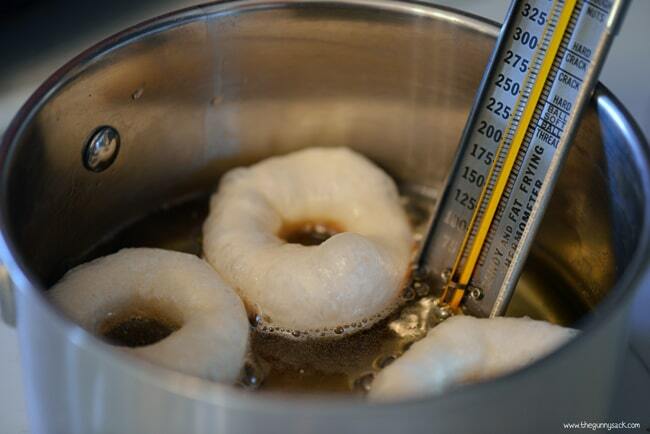 Thanks for reminding me of this simple way of making donuts, Tonia! Oh, do these ever make my mouth water. Wow, I don’t even know where to begin… wait let me wipe the drool off my chin. Pinning, drooling, and sharing!